What is Vision Therapy / Training? Hyperopia is another name for farsightedness. Farsighted may sound like the opposite of nearsighted, but it is not. Farsightedness is actually very different from nearsightedness. Nearsighted people can see close up objects and have trouble with seeing objects at a distance. Farsighted people have trouble focusing on objects in general due to a refractive error in the eyes. Refraction is the bending of light. When a light wave enters the eye, it is bent by the cornea as it makes its way through to land on the retina. In a normal eye, the flexibility of the lens, the curvature of the cornea and the length of the eye work together to produce a clear image on the retina. In a farsighted person, either the eye is too short or the cornea is too flat. This causes the point of focus to occur behind the retina instead of on top of it. Hyperopia is not an eye disease, but an eye disorder. Because of the role refraction plays in farsightedness, hyperopia is known as a refractive disorder. Hyperopia, or farsightedness, is generally present from birth. It may not be instantly recognizable in mild cases, which can go undetected for years until the child is old enough to recognize images. At that point, the farsightedness can become apparent. It is quite normal for many children to be farsighted, especially when they are younger. In many children, the farsightedness disappears before the teenage years. Although farsightedness is normally present at birth, the eye can correct itself naturally as it grows. The eye stops growing around age nine. 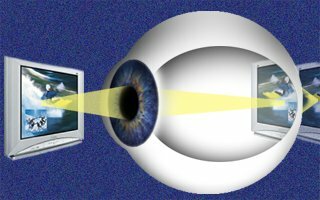 If at that point there is still a small amount of farsightedness present, the lens of the eye may change its shape to fix the eyes’ vision, a process called accommodation. Around age forty when the eyes start to degrade, the lens can lose its flexibility and this accommodation can disappear, resulting in a condition called presbyopia. Presbyopia is actually a natural symptom of the aging process and refers to the eyes’ diminishing ability to focus. Around this age people start having trouble with close work- any work that requires the eyes to focus on an object close to them. They may also have trouble seeing objects far away as well. Symptoms of hyperopia include headaches, aching eyes, eye strain and trouble seeing objects that are up close. A farsighted person may need to wear glasses or contacts to correct their vision or they may need no treatment at all as the eye can adjust to make up for the farsightedness. Farsightedness is common in children and often has no impact on the quality of life for the farsighted child in most mild cases. A child with hyperopia may rub their eyes a lot, complain of headaches, and may have trouble reading. This difficulty with reading may present as a lack of interest in younger children. Hyperopia in children can be hard to detect. For example, a child who has hyperopia may not stand very far away from the TV screen to see. They may stand right up close to it. This is because the farsighted child is used to not being able to focus on finer details and standing closer to the screen allows them to at least see blurry images. Their eyes have never been able to see fine detail, unlike a nearsighted child, who knows they can see fine detail at certain distances. A nearsighted child has very good vision at a closer range and is used to being able to see detail when objects are held close to the face. The compensating behavior of a nearsighted child and a farsighted child might look the same on the outside. Only an eye exam by a professional can diagnose whether a child is farsighted or nearsighted. • Conductive keratoplasty: a non-surgical method where low-energy radio waves are used to re-shape the cornea. The waves shrink the connective tissue that hold the cornea in place and cause it to be stretched back into shape. 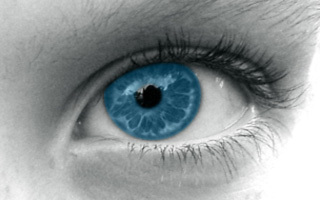 • Laser eye surgery: A surgical procedure where vision is corrected by removing a small part of the eye with a laser. By using a highly focused laser beam, a specialist cuts away a bit of eye tissue, flattening the cornea and correcting the focus. • Intraocular lens transplant with clear lens extraction: A surgical procedure where the eye’s natural lens is replaced by an implant. The natural lens is removed, and a synthetic lens is put in its place. This allows most people to achieve 20/40 vision or better over time. Diagnosis of hyperopia can be made with a complete routine eye exam. The exam consists of questions about the patient’s eye sight and a physical inspection of the eyes. 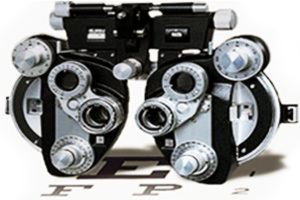 The eye doctor's inspection of the eyes consists of several tests. A retinoscope allows the doctor to see the surface of the retina, while phoropter allows them to measure the refractive error of the eye and assign a prescription. When other causes of farsightedness, such as eye disease, are ruled out and the problem with vision is determined to be a refractive error, the doctor will use a phoropter. This is the machine that allows the doctor to show a series of lenses to a patient, switching back and forth between them to determine the best fit for corrective lenses. In extreme cases of farsightedness, glasses may be needed to prevent accommodative esotropia, a crossing of the eyes. As the eye works to accommodate for farsightedness, the eyes may become crossed. Wearing glasses can straighten out the eyes and prevent them from crossing. Another problem that can develop from extreme farsightedness is amblyopia. This is the most common cause of vision problems in children. Amblyopia is “a lazy eye”. It is caused by the brain ignoring signals from an eye producing blurred images, which makes the ignored eye weaker over time as it is not being used by the brain. Corrective treatment can include wearing glasses or wearing a patch over the normal eye to strengthen the weakened one. There is no path of prevention for hyperopia. Taking care of your overall health is the best way to take care of your eye health. Not smoking, exercising and eating a healthy diet high in antioxidants are all ways to take care of your eyes by taking care of your body. If you notice your child is squinting a lot or sitting closer to the TV, or if they have trouble catching a tossed ball, they might be affected by hyperopia. In adults, you may notice increased eye strain and headaches, trouble performing close work or aching eyes. 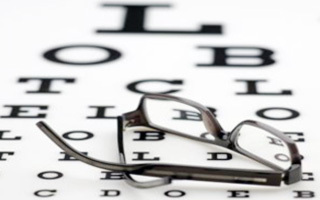 Always see an eye care professional immediately if you have any sudden changes in vision. This includes darkening around the edges of your vision, dark spots in front of your eyes, halos around bright lights, a loss of vision in one part of your field of sight or any other noticeable change. Susan Fisher OD proudly serves Westbury, NY and the surrounding areas of East Meadow, Bellmore, Merrick, Garden City, Carle Place and Mineola.